Two Florida state politicians have banded together to tackle a type of “modern day piracy” that occurs after certain boat accidents, according to a press release from The Florida Senate. The new bill promises to regulate the salvage industry and protect boat owners as well as the general public. State Senator Dana Young and State Representative Shawn Harrison introduced this measure, also referred to as Senate Bill 664. In essence, Young and Harrison are aiming to curtail overcharging practices by salvage companies. 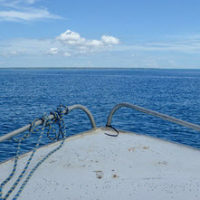 The piracy angle comes from the practice of salvage companies providing minor aid to a boat on water, only to charge an exorbitant fee after the fact. This type of practice is made possible by admiralty and maritime regulations that govern salvage and providing aid to boats in peril. If the salvage company labels their service as a “salvage claim,” then they can charge the boat owner exorbitant fees. In certain cases, the salvage claim is calculated based on the value of the boat – not the value of the actual aid rendered or services performed. From a procedural standpoint, Senate Bill 664 will require salvage companies to provide a written estimate to boat owners for services that will cost more than $500. Furthermore, salvage companies will not be able to bill the boat owner more than 20 percent over the written estimate. Senate Bill 664 also provides boat owners with the option to decline a written estimate if they choose. In their press release, Young and Harrison pointed to the recent example of an unfortunate Florida boat owner. The boat owner called a salvage company to help remove water that was building up in his boat. The salvage company arrived and quickly pumped out the water in approximately 10 minutes. Then the salvage company sent the boat owner a $30,000 bill for services rendered. To justify Senate Bill 664, Young and Harrison cite overwhelming public support. In a poll of Florida boat owners and enthusiasts, 79 percent approved of the proposed requirements for salvage companies. At this point, Young and Harrison will work to garner support for Senate Bill 664 in both houses of the Florida legislature. Until the bill passes, however, it is important to remember the example above. Boat owners should be wary of inflated costs when requesting help or other services from a salvage company. Whether you are dealing with a boat accident, wrongful death or another aspect of admiralty and maritime law, it is imperative to contact a skilled admiralty and maritime attorney. Don’t hesitate to reach out to Michael F. Guilford, P.A. 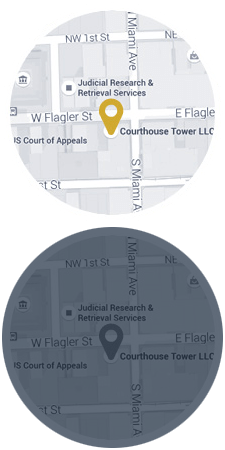 in Miami, Florida for immediate assistance with your case.